There is nothing like sitting in a new car for the first time, knowing that it’s your. Especially after weeks of researching on Google, talking to dealers and actually test driving your choices,. Even though you’re mind has been made up for weeks, you now know with 100% certainty which car you want. Now it’s just a matter of getting your hands on it as soon as possible. So, how do you plan to buy it? When it comes to financing a new car, a lot of people just tend to do what is convenient to get it done fast. However, when something is done in haste, this is where we make financial mistakes. This is why, she explains, new buyers jump on the first car loan they find, often not realising the long term effects of doing so. So, that’s not to say that borrowing is a bad idea, but doing so with your eyes open at the lowest financial risk is your best bet. Australians are highly dependent on car loans, in fact, just last year, a whopping $8.5 billion was lent for this specific purpose. 1 out of 5 people here prefer to buy their car via a car loan. But, how do they actually work? 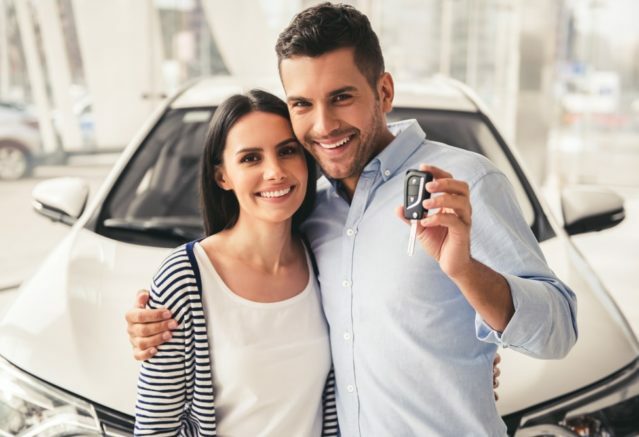 Car loan works either by variable rate where it can fluctuate up or down at any given time or by fixed rate where that rate is fixed depending on the time that you made the loan. This kind of loan can also be secured or unsecured. In a secured loan, the loan company or the lender will have the ability to repossess your car if if you fail to make your payments so that they can recover their losses. On a positive note, secured loan interest rates are a bit lower than the unsecured personal loan and are often easier to obtain as they are considered lower risk. Who is vehicle finance best suited to? 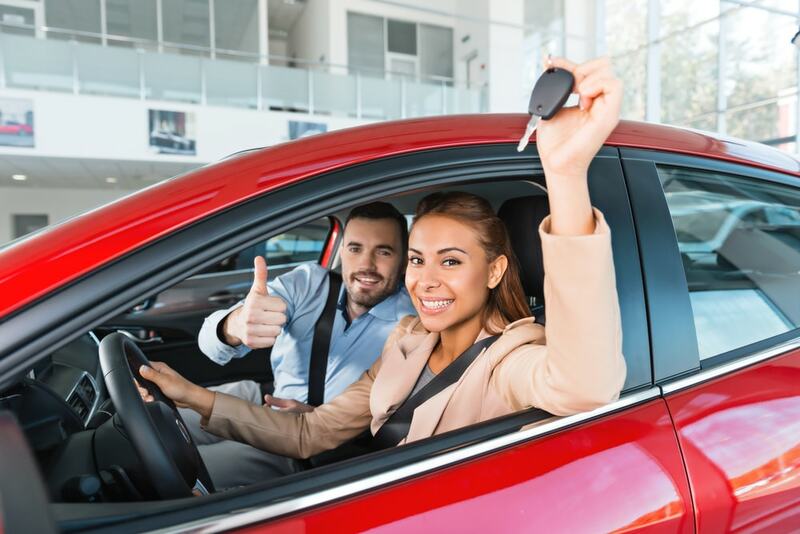 Car loans are best for first-time buyers or people who want to own a car but can’t afford to buy one outright. An advantage of getting a car loan is that the process is quite straightforward and can be processed really fast. If you have a home loan and you are ahead with your payments, then you can opt for a mortgage redraw to finance your car. Depending on your lender, the minimum and maximum amount that you can withdraw will vary, just remember that redrawing comes with fees, of course. One of the most inexpensive finances would be to redraw from your mortgage. Home loans often come with an offset facility or redraw facility that gives you the freedom to make advance or extra payment and still have access to the money. This will allow you to make a full payment for the car that you want if your mortgage payments permit you to. This also allows you to pay back the car and home loan in one repayment at a lower interest rate. Pro tip: Increase your home loan repayment amounts to less than what a personal loan would have cost but more than your standard home loan repayments. You’ll be spending less every week and can get ahead on your total repayments. This is good for those who pay more than the minimum stated repayments and may want to use these “savings” for unexpected expenses. Redraw is an efficient way to decrease the amount of interest because charges are as low as the home loan interest rate, plus it is also promptly available. However, this could deceive you by turning a short-term debt into a long-term one. There are also circumstances that it may not be available for you depending on your purpose. Steve Fornasaro says, “Take advantage of the lower interest rate but not the extended term.” Additionally, repay yourself by placing the amount you would have settled for a personal loan or lease on to your debt. If you have a good credit rating, then you might consider dealer financing. In this car finance method, you’ll get a lower interest rate compared to car loans. These types of finance model range from 3-4 years, where a balloon type payment towards the end is accepted. An early repayment is also an option here. Dealer finance is easy to apply for when you are ready to purchase. Your dealer will usually walk you through the process on the spot. This type of loan is often considered the most convenient, as in some cases, finance can be approved immediately and the buyer can drive away on the same day. Here, the dealer will contact their bank or loan company and arrange the loan for the car. You can inform them of the amount that you can afford every month, and the dealer will help you get the deal. This is for those who are mighty negotiators or perhaps have a poor credit history. It is the most convenient in terms of leg work, because the dealer will be the one to help you arrange the things needed to make it happen. One of the drawbacks is that you have to trust the dealer because they are the ones who are in total control and you are not part of the negotiating process. You have to thoroughly check the packages. It might have additional or miscellaneous charges such as insurance and other extras which can be cheaper with the same add-ons elsewhere. Sometimes, the car manufacturers themselves offer finance and lease deals. For example, Toyota Australia has a special rate of 2.9% for “approved private buyers and certain ABN [Australian Business Number] holders” on its Corolla and Yaris models. Audi, on the other hand, launched a finance deal for their A1 hatchback with special payment terms that start at $169 a week. They will give you the most affordable price that is packaged with the car that is currently available. Yes, “currently available” because if you opt to have the factory finance, then your car choices are limited. Often, at the end of the agreement, you need to make a one-off balloon payment to own the car or hand it back to the manufacturer. If you are not devoted to any particular model, you can try Factory Finance. The good in here is that, one can get a car at a negotiated price with low monthly repayments and the manufacturer proposes a surplus stock. The bad side is, you may have to pay a lump sum at the completion and the models are restricted. For those who are employed, novated leasing is something you can look into. This kind of financing has a high-risk factor, but if you are in a stable position and you are working for a big company, you may want to consider it. Talk to your accountant or planner to be sure. Novated lease is a three-way contract that includes the employer, employee and lease company. This is when an employer puts a car through your salary package. One attractive way that is done by some sellers is to bundle a car package. The employee can pick any car that they like, lease it and transfer (Novate) the rights and accountability to their employer, who will make the lease payments. The employer will deduct the lease payments from the employee’s pre-tax, thus lower the taxable income. This is perfect for high-income earners and those who work for big companies who love to drive a lot. With this kind of financing, you can have access to better quality cars and you can also save on tax. Like in any car financing options, the fast depreciation of car values may leave you out of pocket by the end of your lease. To somehow negate of you are getting a good deal, look at the price of a three year old model of your car. You will get an idea of how low the value can drop. According to experts, putting a car on credit should be avoided at all times. As you can easily max out your threshold, and one payment miss can completely ruin your credit score. However, if you have bad credit and you really need a car, sometimes, the only way that dealers can help you is when you put it on credit. When you pay your car with your credit card, you are going to make a cash withdrawal – although some dealers can accept large payments via credit card. The pitfalls of this method are that cash withdrawals often attract ludicrous interest penalties. A work around would be to pay for the car as a cash advance, then apply for a balance transfer offer with another bank. Balance transfer deals offer extremely low to zero interest rates provided you don’t use the card for anything else. You then take advantage of a balance transfer offer from Commonwealth who offer you 0% on the balance you transfer – so you accept and close the ANZ credit card. By doing this, you now have only one credit card with Commonwealth Bank with a balance of $10,000 that has been transferred and perhaps an additional $5,000 to use. So, you use your credit card as normal, knowing that you’ll only spend within the $5000 range at the usual interest rate of 17% per annum. “It’s ok,” you think to yourself, “I’ll pay that off before the end of the month.” But you’d be wrong. Why? Because every payment you make on that credit card will go to the balance transfer until you have paid it back. So, all the while, that $5,000 is compounding at 17% until you have completely paid off the balance transfer. Soon you have a balance that is growing out of control that you can’t get on top of. Clear your original card if you are going to buy a car with it. Then do a balance transfer to another bank. Keep your original card open for your usual purchases and pay it back each month avoid paying any interest. Cut up the card that came with your balance transfer account and simply pay it as you would a loan. DON’T USE THIS CARD FOR ANY REASON. This is good for those who have an existing credit card with a high limit. Some car dealers accept credit card payments, especially when the person has a bad credit score. To save on the effort of applying for a loan when the risk of being declined is high. Paying a car in full using your card will max out your credit card very fast. Balance transfers counteract this but may cause you a world of distress if you can’t be disciplined with yourself. Look for the best deals before actually purchasing a car with your credit card. When putting a big amount on credit, every cent counts. On the last note, you have to remember that your car is not an investment. The main reason behind this is that cars depreciate like crazy! You don’t want to be left paying for a high interest while your car’s value is already under water. If you are unsure, use a loan calculator to know which option one is the best for you. 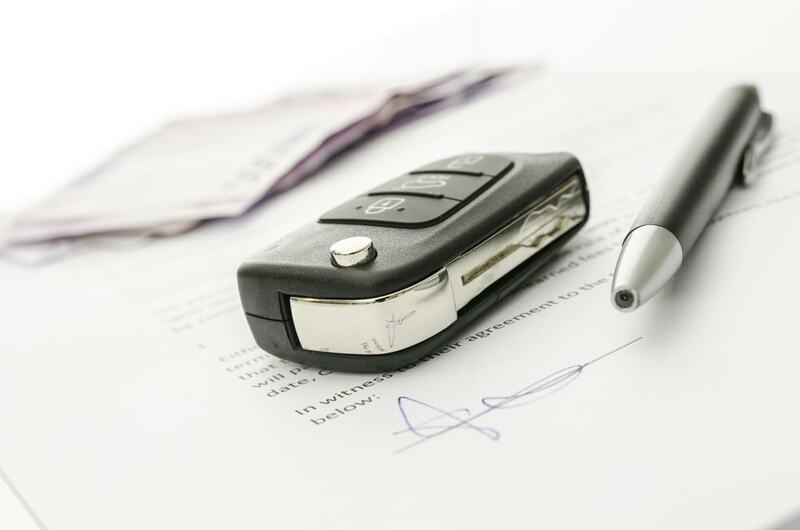 The best way to avoid unexpected payments is to think about your method of car finance. Don’t just go about doing something that is more convenient for you in the moment of purchase. You’ve invested weeks deciding on which car best suits you, give the same focus to how you’ll make your purchase.